The human body is like a machine using fuel and producing waste products. As the body works, it produces byproducts that can be toxic to the body. The most important of these are known as oxidants. These can interfere with the functions of the liver, muscle, brain, blood as well as other vital organs reducing quality of life and contributing to disease. These toxins can be eliminated by antioxidants which can either be produced by the body or introduced through dietary supplementation. The most important natural antioxidant is Acetyl-L-Glutathione. The most common toxins include hydrogen peroxide, reactive oxygen metabolites, lactic acid, low density lipoproteins (LDL cholesterol) but there are many others. This is an oral glutathione formulation used as a dietary supplement to provide the body with an antioxidant boost. Glutathione (GSH) is the most abundant endogenous antioxidant in the body responsible for eliminating reactive oxygen species such as peroxides and free radicals. This prevents cellular damage that causes disease. This compound contains a thiol group in its structure which is a reducing agent. A reducing agent is a substance that can donate an electron or electrons from its structure to other unstable molecules thereby stabilizing them to prevent chemical reactions. Glutathione disulfide (GSSG) is the oxidized form of glutathione. Glutathione occurs naturally in large quantities in the skeletal muscles but is local to every cell in our body. Its level reduces with activity, age, disease, poor health, toxin overload or even the time of day. But how does it produce its antioxidant effects? As already been mentioned, glutathione is a reducing agent. In addition it acts as a substrate for conjugation reactions. Acetyl-L-Glutathione works by reducing the disulfide bonds created within the proteins in the cell cytoplasm to cysteine bonds by acting as an electron donor. In simple terms, this compound stabilizes the toxins by providing electrons that bind to their active groups. This action has three effects; detoxification, antioxidation and acting as an enzyme co-factor. The liver bares the brunt of toxicity of reactive oxygen species. This is because it is the organ tasked with removing all toxins produced by the body. Without the help of GSH then insult is directed to the liver cells which damage it. Over time this causes inflammation, tissue scarring, cirrhosis of the liver and liver disease. Glutathione prevents liver disease by fortifying its cells and their ability to function, clearing harmful toxins from our bodies effectively and naturally. In people suffering from overweight and obesity, the fat that accumulates in the walls of blood vessels is toxic to the endothelium. This leads to hardening and narrowing of blood vessels leading to hypertension. Glutathione helps maintain clear blood channels by ridding the body of these accumulated fats and ensuring no deposits form. The brain functions require a lot of oxygenation as well as use of lipids. This means that there are high levels of cerebral peroxidation and oxidation which produce free radicals. These are toxic to the brain cells and therefore interfere with its function. GSH prevents development of Alzheimer’s disease, Parkinsons disease as well as schizophrenia. Preventing these harmful chemicals from damaging the brain cells, clearing them from the vicinity and promoting healthy cerebral function. The immune system cells have high turnover, meaning the cells are continuously dividing and therefore cellular toxins can interfere with genetic information leading instability and development of autoimmune diseases. GSH protects these cells from toxins, latching onto them and ushering them out of the body. Allowing your immune system to function as intended and focus on the prevention of infection and disease. When the liver functions properly, it encourages the burning of fat by eliminating low density lipoproteins and increasing the levels of high density lipoproteins. Healthy liver function is also a benefit of glutathione supplementation, allowing it to break down fats in the stomach and turn them into energy rather than deposit it throughout the body. Why Do We Need Acetyl-L-Glutathione Supplementation? As already been mentioned, glutathione levels may reduce with age, certain medications, health status and with times of the day. When this happens, it is important to increase the glutathione levels in the blood. In people with liver disease, the ability of the body to synthesize glutathione is highly compromised leading to its deficiency. 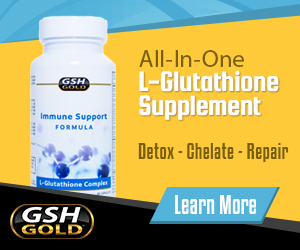 Glutathione cannot be absorbed well directly from diet because of alteration by gut enzymes. Most glutathione supplements on the market do not use Acetyl-L-Glutathione, and you are only absorbing between 1 and 3 percent of their value. Essentially throwing your money out the window. Acetyl-L-Glutathione has an absorption rate of over 90 percent, allowing your body to use it to its full effect. Acetyl-L-glutathione is a supplement formulated to withstand the gut environment to improve absorption and bioavailability of this antioxidant. 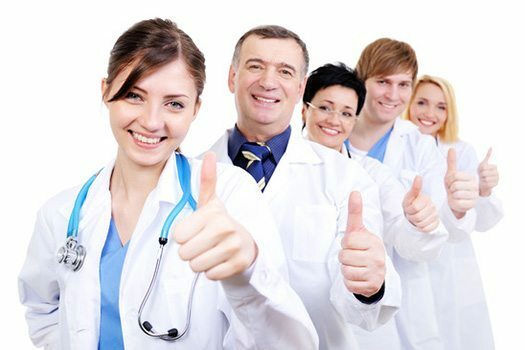 Contact your doctor to help you know your GSH requirement so that you can know how to supplement it.